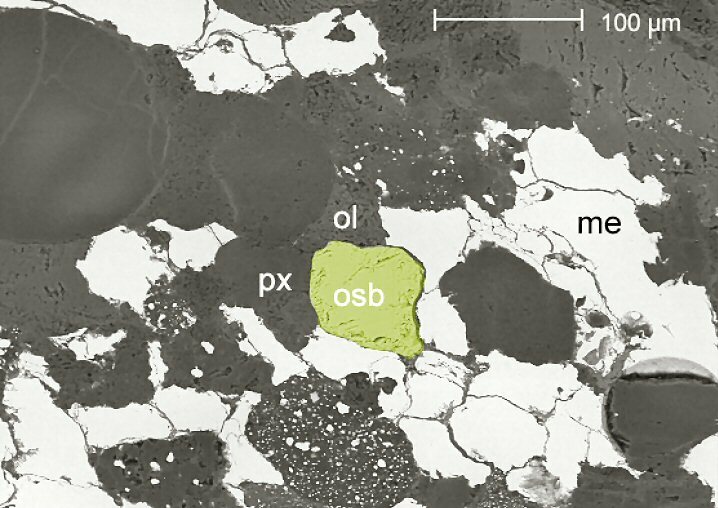 Comments: BSE image of osbornite (osb colored yellow) TiN; me = Fe(Ni)-metal; px = pyroxene; ol = olivine. Location: Isheyevo carbonaceous chondrite (CB3b), Ishimbai region of Bashkortostan, Russia. Discovered 2003.